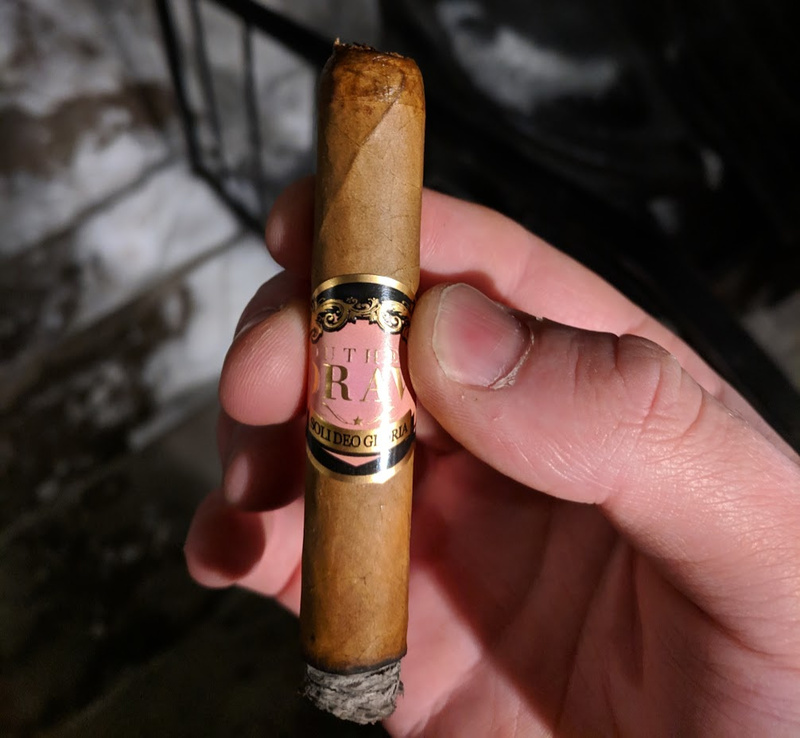 … One of the best sticks I’ve had in some time. 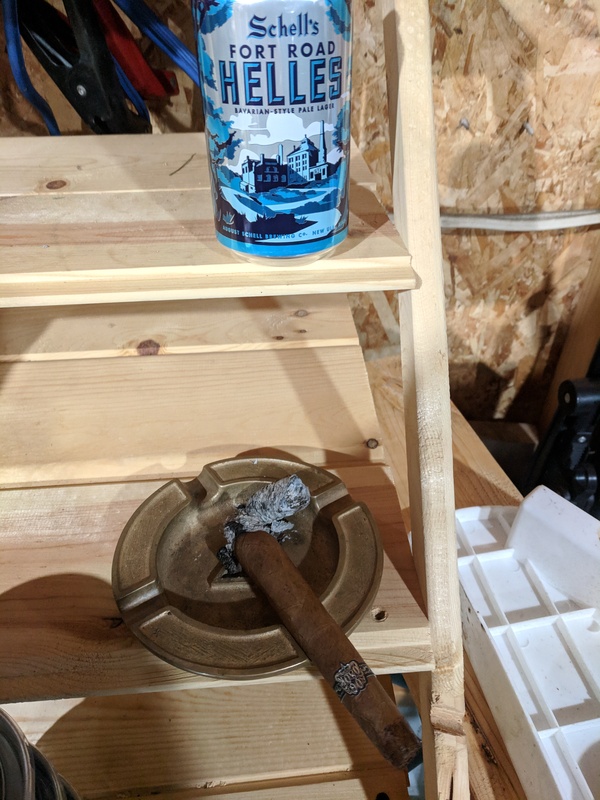 Added some beer, still tastes great and the cigar is even moar creamy now. 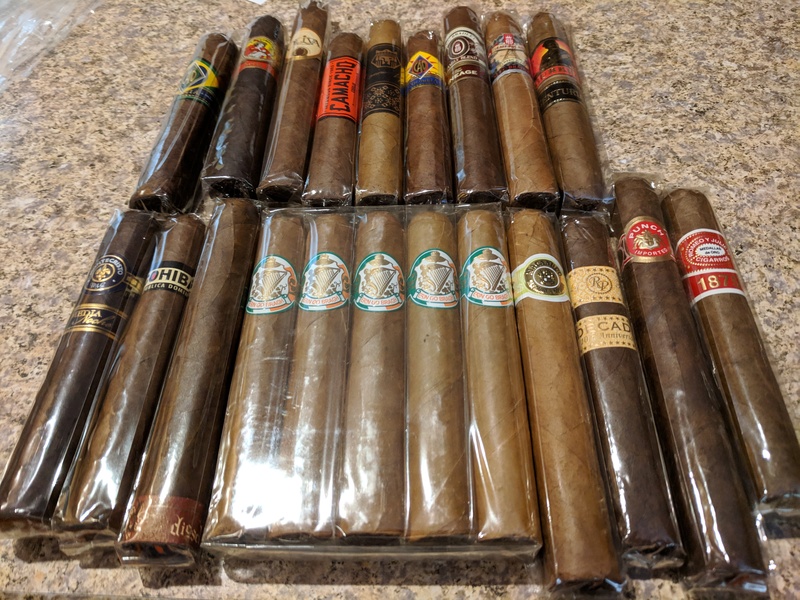 Just got myself a mega sampler of sorts from Cigarbid, will post later the whole list but so far it’s 15 cigars that usually are some what expensive, but as single cigars can be a lot cheaper. 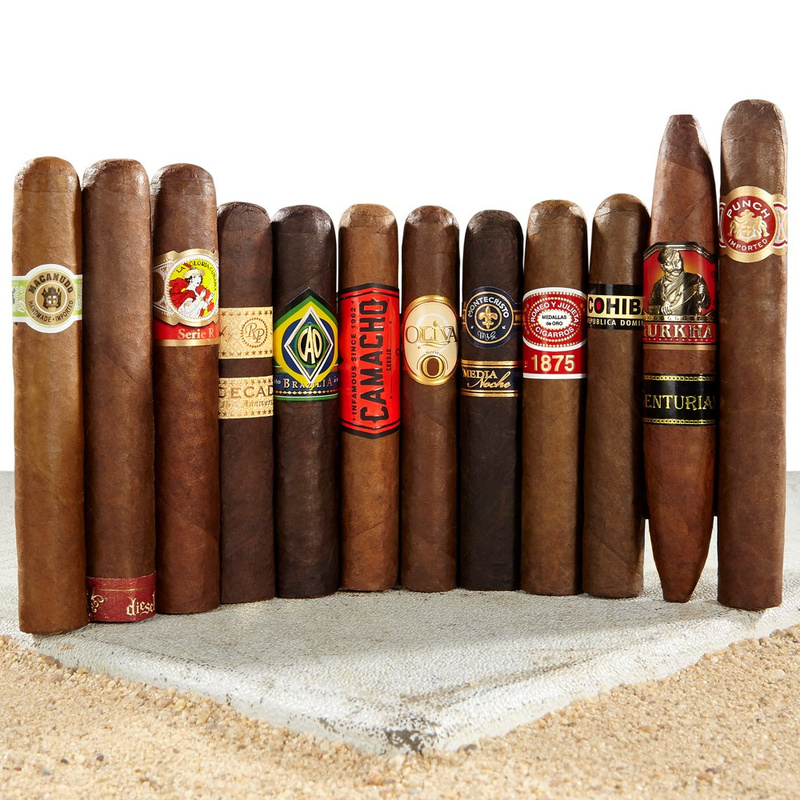 will post pics when arrive, but normally each cigar is anywhere from $4-8 per, got 21 for a total of $50 shipped. not bad. this is whats in the sampler, the rest are easy to find from the names so. That macanudo is very nice, assuming it’s the same one I had in NC. I’ve had the standard macanudo as well, of the sampler it’s the only one I’ve tried before lol. It’s a good Connecticut stick. Excited to try the others. Also the Lucious Lyon is from the TV show EMPIRE… Which I wouldn’t have bought for any more than $2 but that’s what won it so lol. TV Branded cigars are typically trash, will see how that one ends up I guess. Got the Erin go Bragh because I might buy a box of 20 if they are good and have that at my St Patrick’s day/shipping out party so. 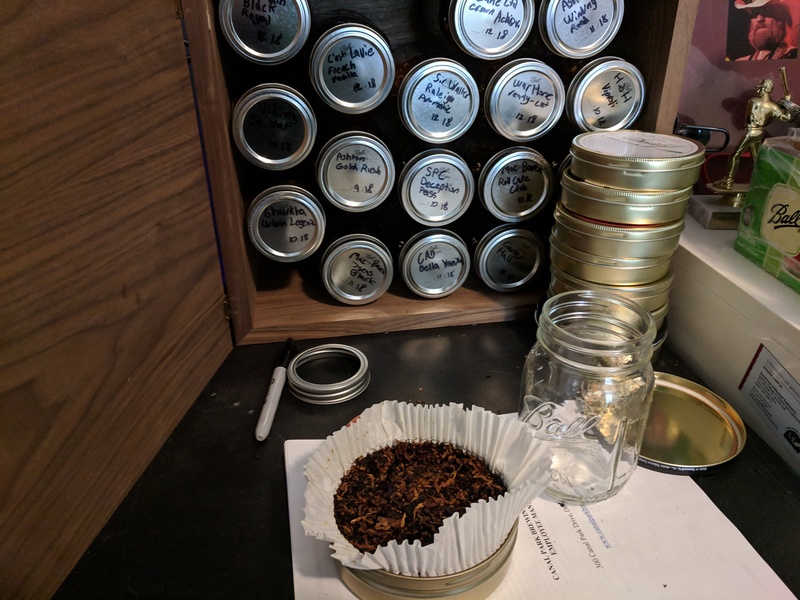 Idk how I feel about whiskey infused cigars, but coffee infused ones have been good… So meh? Also wooow. Nearly 3000 cigars donated. Trying out The Thorn from Southern Draw, will see how it goes. Whoa this thing has some kick. Pepper right off the bat. Stick is kindof a mix of earthy, Woody but also spicy flavors. Quite good. Also very smooth tasting, no harsh flavors just strong ones. I lit up the macanudo prince of wales and wow. 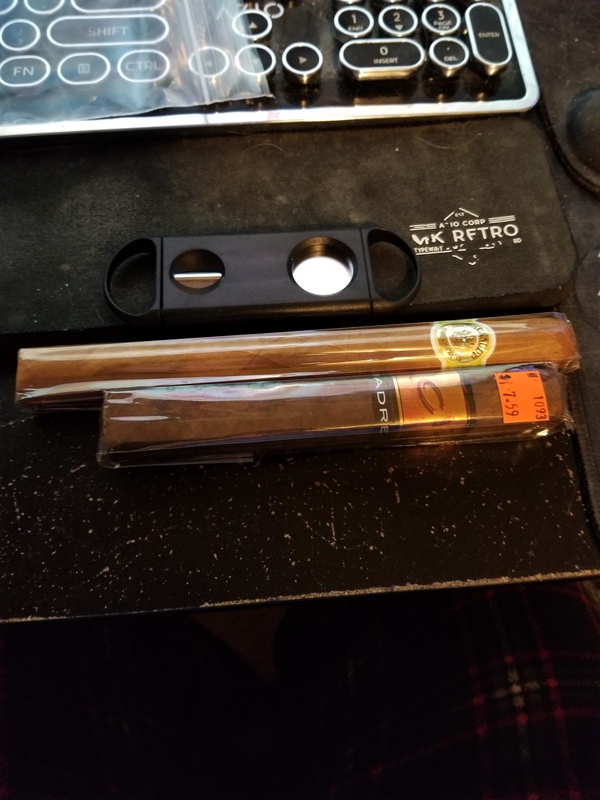 Everything you expect from a macanudo connecticut, just more of it. 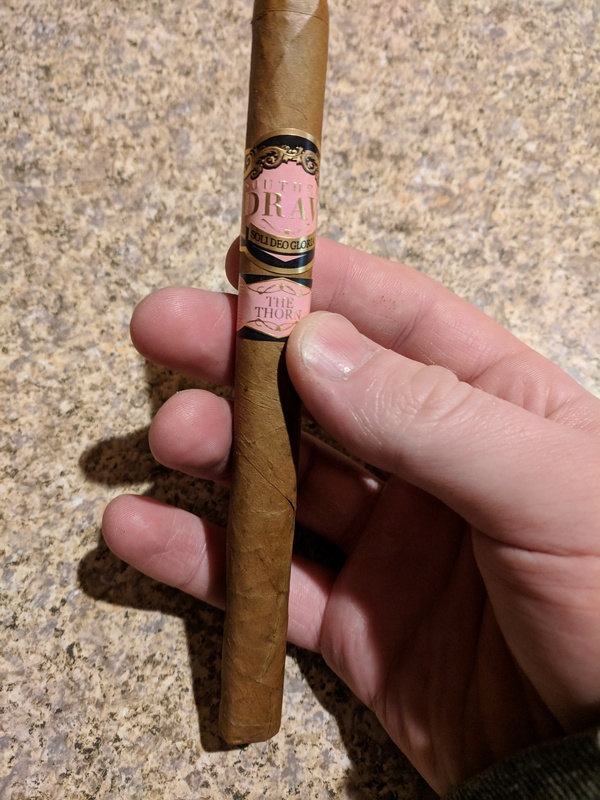 Great stick so far, not even worried it was almost $15. taxes must be bad there, usually it’s like $8-10 per for one of those things. even so, sounds like a good stick. They are… pack of smokes was over $10 back when I worked at a gas station 5 years ago. started off with a kick, peppery, woodsy, earthy. then about halfway through the creaminess picked up a lot and the spice laid off on the body, still there on the retrohale though, making it an even better mix of flavors. the woodsy flavors (cedar mostly) and earth stayed throughout though. overall a medium-full bodied stick, thats on the full side of medium-full in terms of strength. so good i nubbed it to the band despite it being cold out (this was at 2/3rds done). I’m so toasted right now rofl. is great though. would give it like an 8/10 if i were to assign it a number. maybe a 9/10. presidente just means churchill, but slightly different so not really that much more. but yeah not too bad considering the taxes being what they are there then. 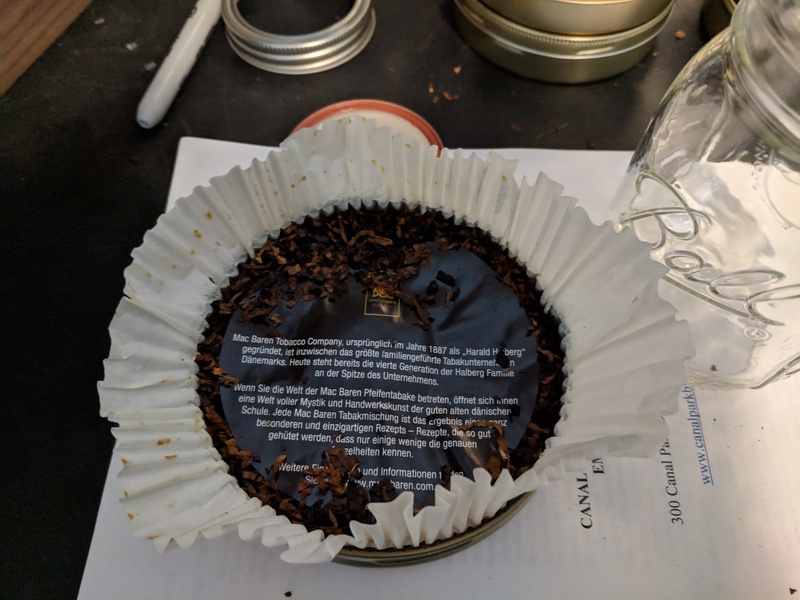 here the taxes are ok in WI ($7 for a marbl pack) but theres no cigar shops in wi near me (well one i guess in a liquor store but meh), so the closest is in MN which has terrible taxes and the local shops are pretty bad anyway so. 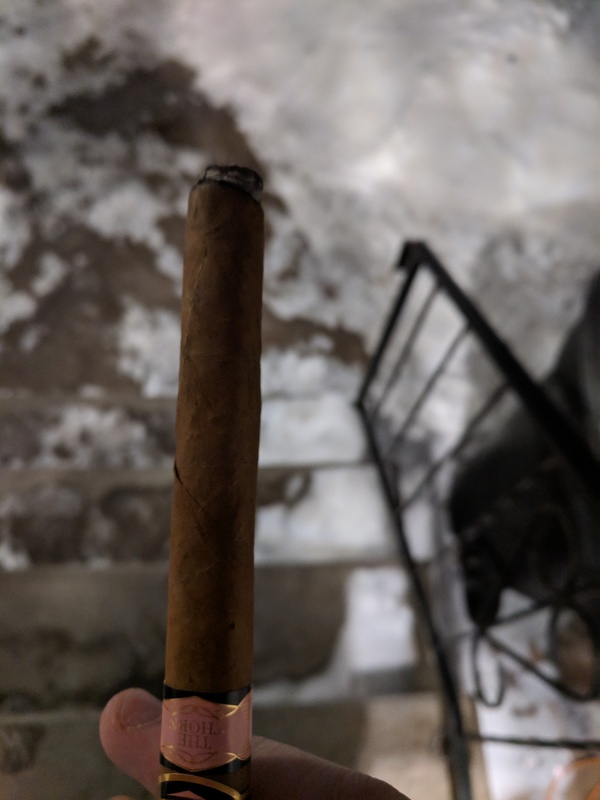 i usually dont nub it, if its a cheap cigar they tend to get bitter towards the last inch or two so that’s my stopping point for a lot of the sub $4 cigars (the ones that MSRP below $4 i mean) that i have. The mega sampler arrived finally, lol.